On 26th October, local Councils were sent a memo from the Local Government Board, relating to recruiting and local committees. This was proposing the creation of “starred” men, who would be considered exempt from military service, and a mechanism for ensuring that men who were not in essential occupations, but might otherwise be unable to serve, would be able to gain exemption. Further proposed was the creation of Local Tribunals for the area covered by each Council, these were made up of a group of local Councillors who could allow or deny applications for exemption – the Heritage Service holds records for both the Battersea and Wandsworth Local Tribunals so we will come back to these in future weeks. The memorandum also encouraged local authorities to support recruitment as far as possible “by stimulating local enthusiasm, by lending accommodation, by facilitating the employment of women in place of men who enlist and in other ways”. 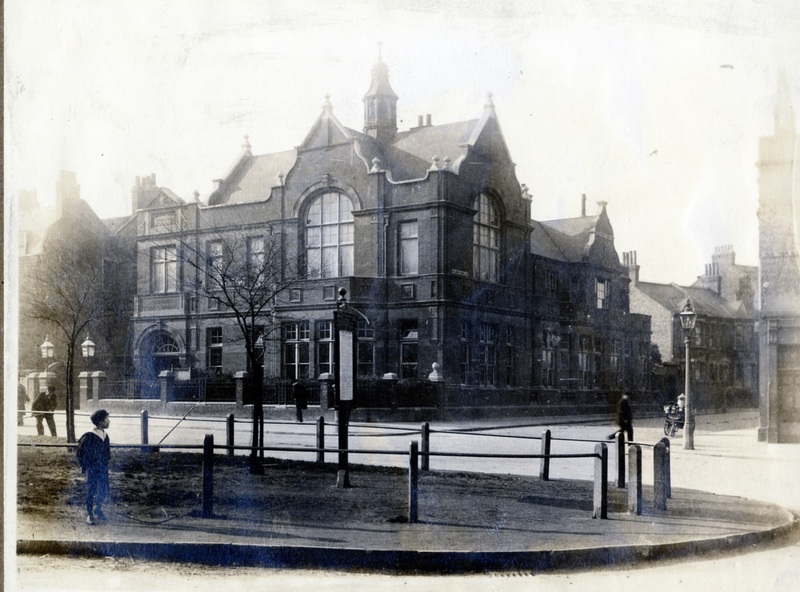 Both local borough councils had already provided accommodation for recruitment and for local troops – as well as trying to provide benefits for serving soldiers such as discounts at the local baths. This was not the first time employing women had been proposed, the Board of Guardians for the Wandsworth and Clapham Union meeting of 11 March 1915 reported on a circular received which said: “There are some posts in which the employment temporarily of women in place of men may be practicable”. At their meeting of 28th October they approved the appointment of a set of Female Relieving Officers, although it is not clear if this was an innovation or not. Wandsworth Borough Council minutes of 16th June record an earlier recommendation to avoid making new appointments during the War, and to try to hire staff who were retired or ineligible for active service. In fact, the Council had already been doing so and authorised heads of Council Departments to fill vacancies by temporarily hiring women. It is quite hard to trace where the plan to hire women to fill Council posts is recorded – Council and Committee minutes only name senior staff, most of whom were ineligible for active service anyway, and few wages books which might record staff survive. The ones which do survive are both for libraries, Putney Library and Clapham Library. Putney’s wages book does give insight in to the story of Lieut Mills, but it is not obvious if they were hiring women to fill vacancies – they do not appear to have taken on any extra staff at all. The Clapham Library wages book gives slightly more information. The permanent staff were all men, but from the week ending 22nd May 1915 to the week ending 23rd October 1915 a Miss H M Inkster was employed as a temporary assistant. She returned for a further 6 months between November 1916 and May 1917, and has been rather difficult to trace further information about, despite the relatively uncommon surname – she does not appear to be related to the Inkster who was Librarian of Battersea (and who had instigated a policy of hiring women when the library opened in 1890) and the records do not note her first name. Another temporary assistant, Miss F R Richards, was taken on the week ending 5th June and stayed until the week ending 30th October 1915. Both Miss Inkster and Miss Richards were being paid 18s per week, it’s hard to establish if this was more or less than a mal equivalent, as the Clapham Librarian was on £2 1s 4d a week and the various staff listed were all on less than 18s per week – perhaps due to a different rate of pay for temporary staff, the wages book does not say. A junior assistant, Miss C K Wray, is taken on in November earning 9s a week, 2s a week less than A R Browne, who was also working at the Library. A second new junior assistant was taken on in May 1917, a Miss J M Wilkinson – presumably continuing the policy of hiring women. Elsewhere in the borough, the libraries were coming in for criticism for a different policy – that of refusing to lend fiction. The Wandsworth Borough News devotes half a column to this, referring to it as “Bumbledom in Excelsis” – although the column also refers to being served by a “pert young lady librarian”, so the hiring policy was clearly being implemented across the borough. The fiction ban was in place as an economy measure, and the Borough News recommended all those who would like to see if over-turned to make representations to the Council as soon as possible. The ban, despite deputations, remained in place until 1918.